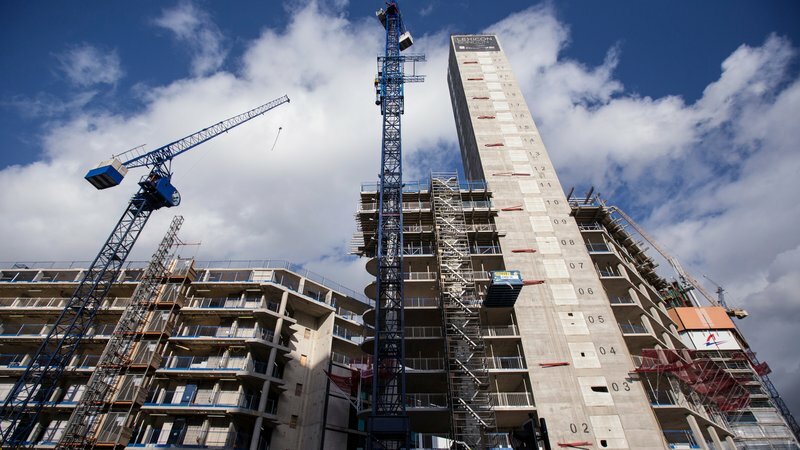 The construction industry is set for 14% growth in 2018, according to an annual review by Aecom Ireland. The construction group's latest survey of clients, consultants and contractors found broad optimism in the industry. However that 14% growth figure is perhaps not as impressive as it might otherwise be, given the lows the industry is coming from and the huge demand that is in the market at present. "The industry obviously collapsed but since 2012 there's been five years of consistent growth," said Aecom Ireland director John O'Regan. "But output in the industry is still significantly below the 12% of GNP which would be the norm for the construction industry. So while it's very positive that there's continued growth, and certain areas are flying ahead, there are also areas that need to catch-up, for example housing, infrastructure, transportation, utilities." Reflecting that imbalance, Aecom expects the commercial market - particularly in the docklands area of Dublin city centre - will remain the driving force of growth in the industry. "In the 12 months passed and the 12 months ahead we will continue to see a lot of construction activity in that sector, which is great as it's meeting the demands that are out there," he said. "The challenge is that there are other areas, like housing, whilst their increasing, they're not really increasing at the rate that's required to service the economy." Mr O'Regan said there is no easy explanation for the continued lag in the housing market, in the face of huge demand from would-be buyers. Instead there are a number of factors at play, all of which contribute to the current situation. "They range from funding, planning, viability, affordability, procurement routes for social housing, so it has taken longer than we all would have hoped to get to the point where it's accelerating," he said. One suggestion put forward by AIB is to cut the rate of VAT on developers to 9%, which it said will boost profit margins and in turn help to boost the amount of houses being built. Mr O'Regan accepts that such a move would be contentious, but said anything that might boost the number of new homes coming on market is worth considering. "I think we all recognise that the crisis in housing comes from lack of supply," he said. "Anything that increases the viability of developers will increase supply," he added.